Review the below masonry services we offer in and around Chicago for more information on each process and how we perform it. We understand the importance of lintel replacement, whether the need be purely aesthetic or structural. See our Q & A on the signs of bad steel lintel; watch a step-by-step video of the process from beginning to end; read information on the necessity of maintenance. Glass blocks are decorative design touches, as well as potentially functional additions to a home. We provide two thorough explanations of installation here, but the process is time consuming and can be complicated depending on the decided space you’re filling. We are happy to offer glass block installation as an Edmar Corp service. Chimney repair is a crucial necessity. This maintenance goes well beyond beautification, as it is a real safety issue. Damaged or deteriorating chimneys could cause injury if neglected. If you aren’t sure what constitutes a chimney in need of attention, please see our informative video for examples. 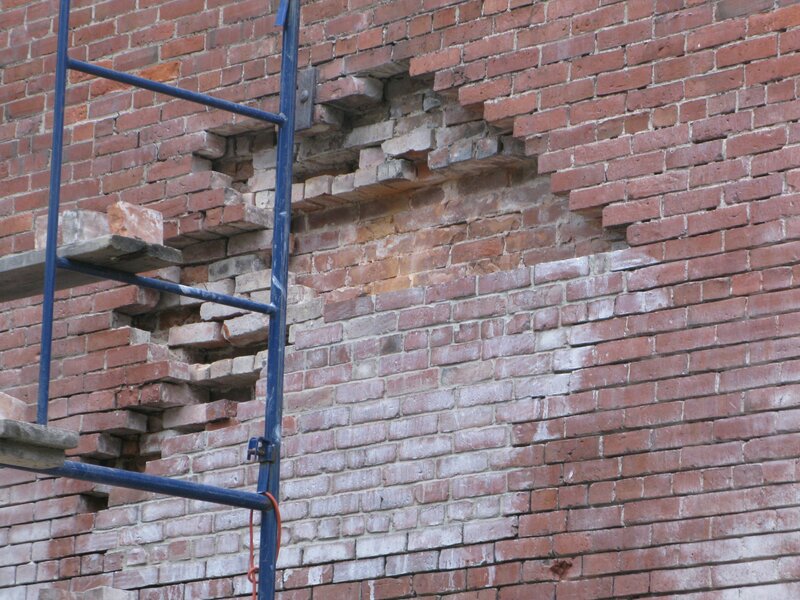 Knowing that Chicagoland’s history is laid in brick, we are proud and humbled to do our part in helping maintain that face by providing the community with the restoration services listed here. Read our Q & A and watch our video for more information. Brick that has been painted over is a commitment, but not a marriage. If your business or home is in need of sprucing, acid washing and paint removal might be just the ticket. Pressure washing brick for upkeep is essential, too. See our video outlining the process and the different services we provide. Old mortar removal, mortar clean-up, and new mortar application are three different processes that people often confuse. Please read our clarification of the three distinct processes, and watch the video to see how our professionals execute the step-by-step process seamlessly.